This is one of the most successful books in the Extraordinary Canadians series. Dr. Vincent Lam, emergency physician and author of the prize-winning “Bloodletting and Miraculous Cures”, takes on the biography of the legendary Tommy Douglas, leader of the CCF government in Saskatchewan and responsible for introducing medicare legislation in that province that eventually spread to the whole of Canada. Dr. Lam gives a sympathetic portrait of the young Scottish boy immigrating with his family to Winnipeg, l9ll, and later l9l9, their involvement in the Great Depression and Winnipeg General Strike, Tommy’s career as a Baptist minister in Weyburn, Saskatchewan and eventual involvement in politics as a more practical way to fix what he considered a broken and unjust economic system. He had already shown his willingness to fight, winning the lightweight boxing championship of Manitoba in l923. Perhaps more significantly, he had suffered as a boy from recurrent osteomyelitis in his right leg and was only saved from amputation when a renowned orthopedic surgeon offered to operate at no cost as a teaching case. He recovered but never forgot what the care meant to him. In l932 J.C. Woodsworth, who founded the CCF party, introduced Douglas to M. J. Caldwell,the labour leader. In l935 Douglas ran as a CCF candidate in the federal election and won a seat for Weyburn, Saskatchewan. In l942 he became leader of the Saskatchewan CCF and in years after that introduced socialist measures in a prudently run mixed economy, e.g. universal hospital insurance, the Saskatchewan Arts Board, the rural electrification program. Douglas own career took him to the leadership of the new NDP party in l96l. It was not until l964 that the Hall Commission recommended the adoption of universal medical care modelled on Saskatchewan’s plan. Dr. Lam introduces Douglas’ family, his wife Irma, actress daughter Shirley and later adopted daughter Joan. 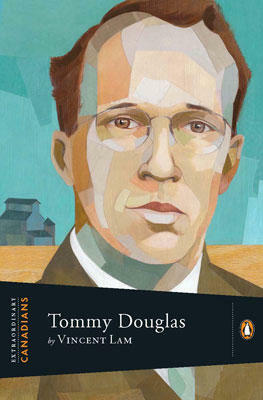 Tommy Douglas retired as leader of the NDP in l97l and spent the rest of his life in Ottawa and a cottage in Wakefield, Quebec. It is not hard to see why this feisty Scot was once named the most important Canadian of all time. He never gave up on his care for other people – and we all know that. Joseph Maingot signing “Politicians Above the Law” on Saturday, March 26 from 1-3p.m. Come down to Books on Beechwood on Saturday, March 26 to meet author Joseph Maingot. He will be here signing his book Politicians Above the Law from 1:00p.m. to 3:00p.m. Come down to the bookstore on Saturday afternoon, meet the author, and buy a book! We look forward to seeing you all then! Nothing like a good story – especially one set in Ottawa, where you can recognize the people and the places if you live here too. 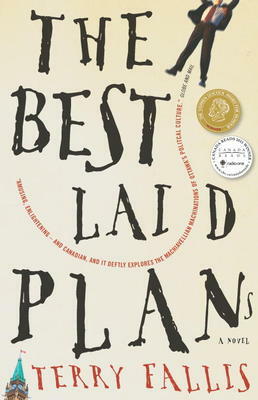 Terry Fallis creates some memorable characters in “The Best Laid Plans”: the crusty Scots engineering professor who never planned to get into politics; the ragtail set of students who helped get him in, and what happened when he got there. The book is a satire on Canadian politics, especially the current Ottawa version which is sometimes funny enough all by itself. Terry Fallis runs a public relations agency in Toronto, but writes with an intimate knowledge of a small eastern suburb of Ottawa, as well as downtown and up on Parliament Hill. The satire covers all aspects of life in the hallowed halls of Parliament including some unexpected after-hours drama. The publication of the book is a story in itself. Fallis got tired of trying to find a publisher, and so recorded a reading of his novel and brought it out chapter by chapter as a podcast. He then published the book on his own. After that it won the Stephen Leacock Award for Humour. It is indeed very clever, very well written and very funny. “Brisk and humorous”, says the Ottawa Citizen. 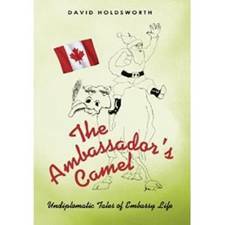 David Holdsworth Signing “The Ambassador’s Camel” on Saturday, March 12 from 2:00 to 4:00 pm! Come on down to Books on Beechwood on Saturday, March 12th and meet local Ottawa author David Holdsworth and illustrator Jean-H. Guilmette. They will be here signing their new book The Ambassador’s Camel: Undiplomatic Tales of Embassy LifeÂ between 2:00 pm and 4:00 pm. The book is a collection of funny short stories on diplomatic life in a Canadian embassy in a fictional Asian country, along the lines of Lawrence Durrell’s famous spoof of the British Foreign Service, ESPRIT DE CORPS. Be sure to stop by on Saturday, March 12 between 2:00pm and 4:00pm to meet David and Jean-H., have a chat, buy a book, and get it signed! We look forward to seeing you all then. 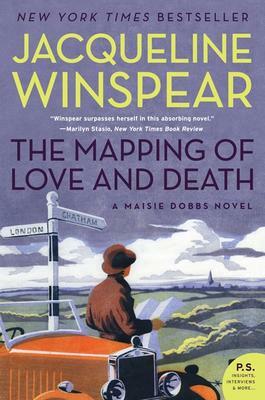 For anyone who knows the detective Maisie Dobbs, The Mapping of Love and Death will be a welcome addition to the highly successful detective series. For newcomers, the London investigator comes as a real treat to read. Set in the U.K. between the wars, i.e. l932 to begin, the story follows the murder of a young American map-maker who left the U.S. in l9l4 to join up and fight for the country his father had come from, England. Jacqueline Winspear is an English writer who has lived for a long time in California. The result is that she has very keen feelings for both countries. From the sunny warmth of her new home, she writes vividly of the wet smog of London on winter afternoons, and the endless cups of tea and scones in everyone’s homes. Maisie herself is a bright young woman who once worked as a maid on a large estate before she was trained to be a public investigator. She has a natural charm that enables her to slip between the class barriers and get the information she seeks. The narrative is ingenious and sometimes horrifying in its ramifications but written in a low-key British way that takes you very close to the families concerned and makes for a page-turning read. This is the seventh book in this series that Winspear has produced, many of them winning prizes.